YA Bound Book Tours: Blog Tour Kick-Off: It's a Wonderful Death by Sarah J. Schmitt! 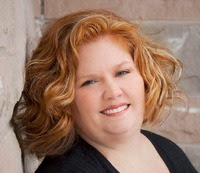 Blog Tour Kick-Off: It's a Wonderful Death by Sarah J. Schmitt! 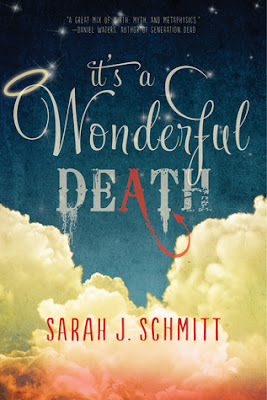 YA Bound Book Tours is organizing a Blog Tour for: It's a Wonderful Death by Sarah J. Schmitt from Sky Pony Press. This tour will run from September 28 to October 9th. "It's a Wonderful Death is a wonderful gem. Both snarky and uplifting, it sneaks inside you and makes you smile and cry at the same time." "It's A Wonderful Death is a great mix of mirth, myth and metaphysics; I enjoyed it greatly and I'm certain that YA readers will as well." "Mean Girls meets A Christmas Carol! Smart, sassy, and humorously original with clever world-building and a host of interesting characters, It's a Wonderful Death will have you laughing out loud and rooting for RJ from the first page!" "Just the kind of story I love -- full of snark, heart, and contemplation about the meaning of life! It's a Wonderful Death will get you thinking about what you want to leave behind and how you want to live until then." "RJ's witty narrative had me both laughing out loud and weeping into the pages. It's a Wonderful Death is a delightful read that questions the butterfly effect of choices made...and unmade."